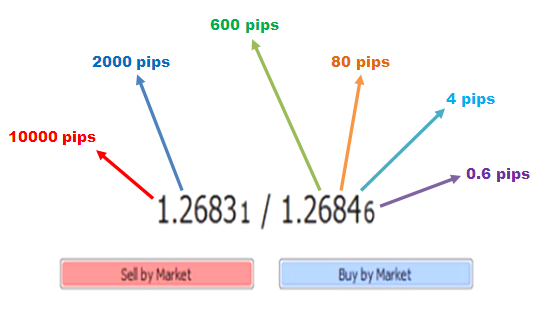 In Forex market, every ,movement at 4th digit in every currency pair called Pip. Pips is the plural form of pip. Such as market has changed 80 pips today. Some called pips as point, But pips is globally used. How much pips have changed ?